The idea of helping make things easier for bereaved families after a death seems like a simple one but before the Tell Us Once (TUO) service existed it was a different story. 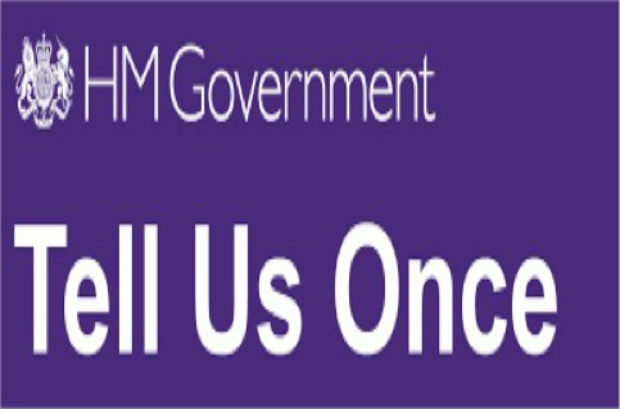 On average a next of kin had to contact Central and Local government departments 7 times to inform them of the same death. At a time when families were feeling the loss of a loved one this approach to reporting deaths wasn’t helpful. The Tell Us Once service was designed to make things simpler. It is a voluntary service which allows citizens to build on the information provided to a registrar when registering a death and have it shared with other relevant Government Departments, removing the need to engage with each one separately and supply numerous copies of the death certificate. During the 17/18 year 399,000 citizens used our service, resulting in 2.4 million notifications being issued to partner organisations. Local Authority services such as Council Tax, Blue Badge, Electoral & more. You can also choose to inform some public sector pension schemes, so that they can cancel future payments and avoid overpayment. The service is available in 396 local authorities across England, Scotland and Wales, either face to face with the registrar, online or via a dedicated telephony team. The TUO service is a fantastic example of partnership working between Central and Local government. It is a service which puts citizens at the very heart of everything we do to help them when they need it the most. When my Mum died in 2015 the Registrar asked me about this. I did sign up to it but unfortunately in my local authority at the time it was very limited and they could only notify some of the organisations listed above. If it had complete coverage back then it would have been more useful than it was. My mother-in-law passed away in July this year and we used the Tell us Once service. Having to tell people over and over that you have lost a loved one is upsetting so using the Tell us Once was brilliant. I can attest from personal experience that Tell Us Once is such a valuable service at an extremely emotional time for the bereaved. Anything that helps navigate the bureaucracy that cannot be entirely avoided after the loss of loved one is to be welcomed. I used this service when I lost my mum, it was a big help & everything sorted in one visit to the registrar, made it a much easier process at a very difficult time.